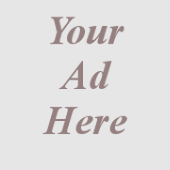 The following is a guest post from Jodi of Jailyn Apparel. 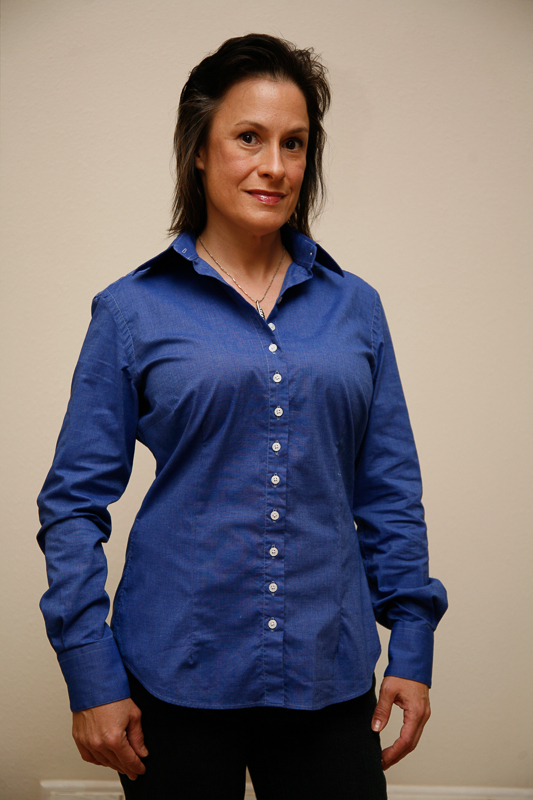 You might remember the review I did a while back of Jailyn Apparel's first blouse style. Here, Jodi reviews Campbell and Kate's classic button down. Campbell & Kate has expanded to offer their classic button-down shirt in French blue, and I’m thrilled to have recently received mine. To start with a fundamental point, the construction quality is fabulous. The details are nicely executed, including neat buttonholes, enclosed seams, and barrel cuffs with beautiful rounded edges. If treated well, this shirt should last for years, and since it’s a classic style, that makes it a great value. The French blue fabric is gorgeous. The color is vibrant, and the fabric is soft and light but still opaque. With shirts for full-busted women, the bottom of the arm holes are typically designed to fall pretty high on the side of the shirt. This has a slimming effect because you’re not ending up with a bunch of extra fabric at the side of your body near your already full bustline. 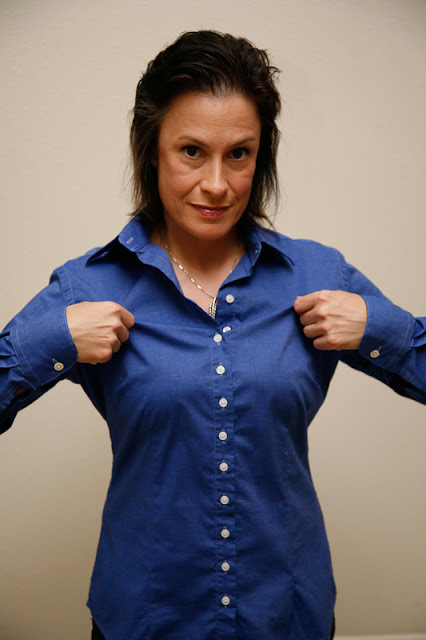 On the down side of that, several of the shirts I’ve tried have arm hole seams that dig into the front of my shoulders when my arms are moved forward, or are so close to the arm pit that I find myself pulling down on the sides of the shirt all day. The sleeves on the Campbell & Kate shirt are designed generously enough to avoid these problems while retaining the flattering close silhouette. You tall or long-torsoed ladies out there who can’t find shirts with sleeves long enough for you are going to be very happy, as this shirt offers plenty of length in the sleeves. But don’t panic if you have shorter arms, as shortening sleeves is a simple alteration. I’m a bit short in the upper body, so the sleeves are long on me, but I won’t even bother altering them, because I always wear shirt sleeves rolled up to to just below my elbows. Also due to my shorter torso, the bust darts fall a little low, which is what’s causing some diagonal rippling in the fabric between my bust and waistline. You can see in the photo where I pull the shirt up that all of those waves disappear when the vertical darts end closer to my full bust. So I’ll extend those upwards about an inch to smooth out that area. The back of the shirt has four vertical darts. 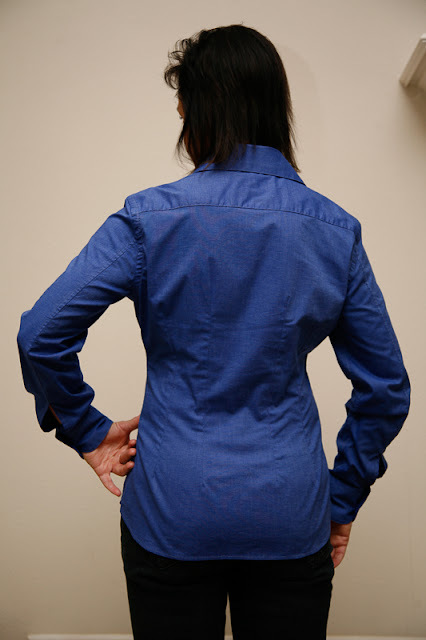 This nicely accentuates the waistline while allowing enough width for movement across the upper back. Overall this shirt is a beautiful, high quality addition to my wardrobe classics.